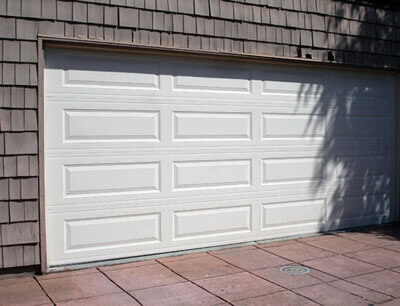 First United Door Technologies prides itself on a diverse line of garage doors defined by value, versatility, curb appeal and environmental consciousness. 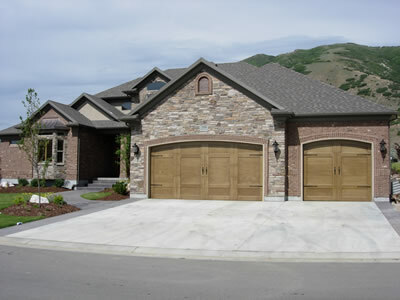 First United as much as possible manufactures its steel and wood garage doors with large amounts of recycled products. 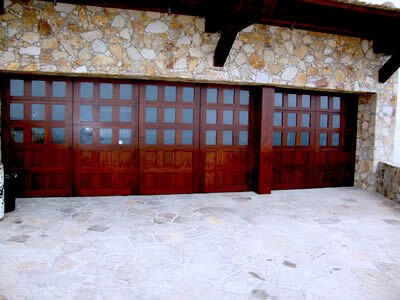 Doors in many cases are customizable to the customer’s specifications. Woodie Plank series — cedar veneers chemically bonded to a steel plate backing. Woodie Plank doors are available in traditional carriage house or contemporary styling. 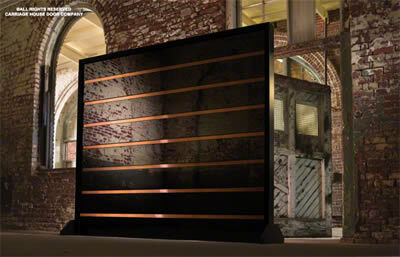 Steelhouse series — offers up the color and tones of wood with the durability and maintenance-free appeal of steel. 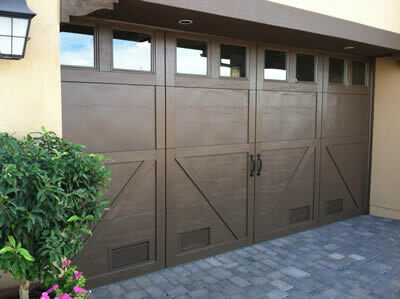 The Steelhouse series comes in carriage house or WoodTones motifs. Universal series — combines affordability and durability in a steel door comprising several models. The series offers a choice of long or short panels. The doors are enhanced by a wood grain textured finish. 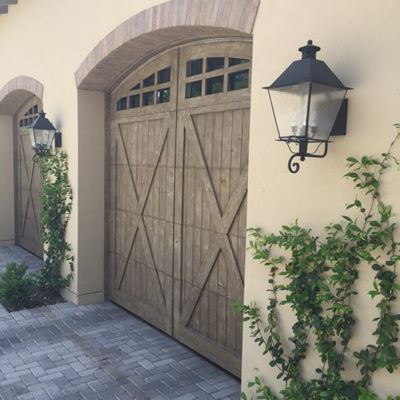 Garage doors by Carriage House Door Company are notable for the captivating accent they provide to fine homes around the country. Carriage House Door Company provides a broad selection of wood, metal and contemporary doors marked by vintage styling and handcrafted grace. Homeowners can design their doors on the Carriage House Website (CarriageDoor.com) and choose between wood, metal and contemporary models. Their deluxe wooden doors come in a selection of grains — including red cedar, Douglas fir, mahogany, redwood and more. Much of the collection features recycled wood, often salvaged from old barns to add Old World, rustic appeal. Their steel doors are 2 inches thick and backed with insulation, with a half-inch Extira overlay. Much of the Carriage House line includes sectional options. All offer state-of-the-art technology, including automatic remote access. All the doors can be outfitted with windows and deluxe hardware.